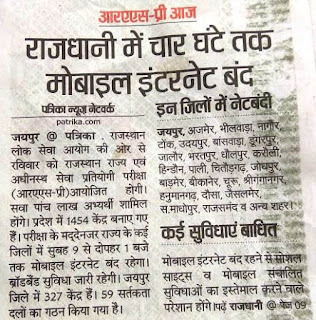 Dear readers, Rajasthan Public Service Commission (RPSC) will successfully conduct Rajasthan administrative services exams as on today 5th of the august at various examination centers of the whole Rajasthan. 5.10 lakhs of the students will appeared in this exam. The exam was organized from 10 am to 1 pm this morning. Let us know that 5.10 lakh people have applied for the examination and 1454 examination centers have been set up for the examination. Candidates have to pass two stages of written examinations (initial and main), after which they have to pass an interview too. 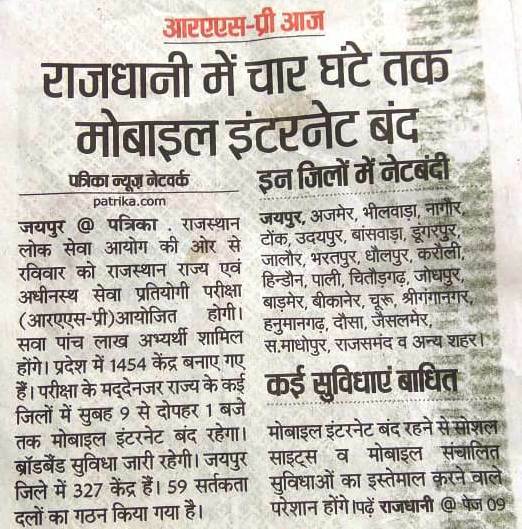 After the exam candidates can check RAS Pre 5 August Answer key by coaching institutes. Many branded coaching are try to provided RAS Pre Answer key. Rpsc Guru is having touch in all coaching institutes for discuss questions paper together their subject experts. RPSC is also publish official answer key for all series, you can download RPSC Answer Key for all series from given billow link. RPSC Answer key is also available to download on official website.Keeping in mind the security during the examination, internet services have been closed from 9:00 am to 1:00 pm during the examination. Parishar RAS Pre Answer Key: Every year Parishar Coaching has published RAS pre exam answer key 2018. Lacs of candidates are waiting for ras pre answer key and RAS Pre Excepted Cut Off by Parishar Institute. The institute has announced a major ideas about the ras exam 2018. RAS/RTS Answer Key: Readers after the downloading ras 5 august answer key you can match your marks form your main exam answer sheet and analysis. We are also help you to providing RAS/RTS Excepted cut off marks for Rajasthan Administrative Exam. The RAS/RTS post is very reputed and senior posts in rajasthan. RAS Pre Official Answer Key: Rajasthan Public Service Commission is declared official ras key answers for ras exam. RpscGuru is also provided you rpsc ras answer ker for 5th August 2018 exam. For download RAS Answer Key click here link given billow. We are also publish RPSC Syllabus for further. RAS Exams 2018 post details. Important Information for RPSC RAS Students related to Answer Key: Dear readers you can discuss RPSC RAS Pre exam question answers in comments box discuss panel. We are also providing RAS Pre 05 August 2018 answer key by Parishkar, Abhigyan, Shree Ram, Utkarsh Coaching. Please keep to update this article for get latest update and also bookmark this page to open easily.